Clogged sewer lines lead to costly damages inside homes. 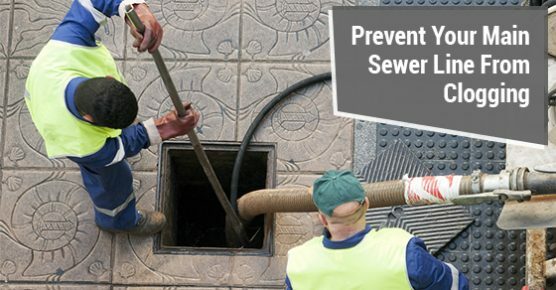 Plumbing lines are critical to the removal of wastewater and its transport to sewer mains. When your main sewer line becomes clogged, it can cause sewage to back up and make its way back into your home’s plumbing system. These and other problems can result in costly repairs, damage to your property, and potential health hazards if you don’t choose the right plumbing service. The following are three signs your main sewer line may be clogged. Clogged main sewer lines may lead to problems with your toilets and drains. If you hear sounds of water gurgling or if water backs up out of a bathroom or kitchen drain, these may be signs that your main sewer line has become obstructed. The main sewer line is connected to secondary lines that connect to your property. Secondary lines that are clogged can be treated as isolated issues. But main sewer lines affect all of its secondary lines, leading to more extensive problems throughout your property. In older plumbing systems, clogged sewer lines can be a result of the growth of tree roots underground. These roots make their way into the sewer lines and prevent water from flowing through the lines. This typically occurs with older pipes and plumbing systems. The materials used in the past may not withstand the pressure of growing tree roots. This causes them to become damaged and vulnerable to blockages over time. Removing these roots as quickly as possible is essential to preventing more significant damage and restoring your home’s plumbing system. If using appliances and plumbing fixtures often causes water to back up in other locations, you may have a clogged sewer line. It may be that water can’t be removed and is backing up at another point in your plumbing system. Consulting with a plumbing professional is the first step in addressing a clogged main sewer line. To prevent additional problems, it’s a good idea to release pressure in the system by shutting off the water valve. If your home has a cleanout line, remove its cap to help reduce any buildup of pressure. This allows you to transfer water outside of the home and prevent backups inside. Drain augers and other tools detect and clear out any blockages in your sewer system. Camera inspections can help you identify the source of the problem and reduce the cost of extensive repairs or replacements. Knowing the three signs that your main sewer is clogged prevents unwanted plumbing issues that could damage your home and put your family at risk. Working with an experienced plumbing professional who can provide the plumbing services you need ensures that your entire system keeps your home safe for years to come.